The Saga of the Four Chaplains was presented by Wayne Thomas, Post 39. Alexander D. Goode was presented by Dan Arnold, Post 39; George L. Fox was presented by Sam VanMatre, Post 39; Clark V. Poling was presented by Wally Hatfield, Post 39; and John P. Washington was presented by Steve VanMeter, Post 39. Lilly Kloes and Kathy Thomas conducted the lighting of the candles as part of the ceremony. Auxiliary President JoAnne Newsome and Betty VanMatre are pictured during the ceremony. 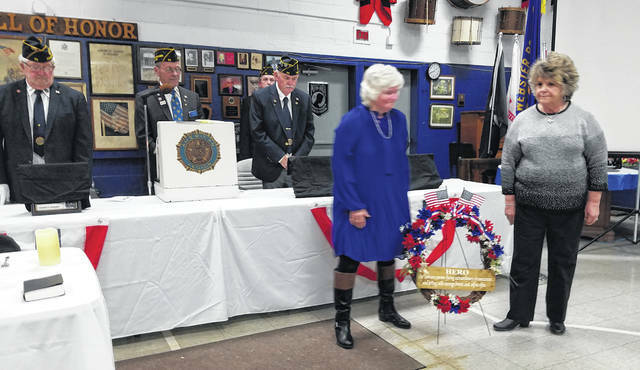 ROCKSPRINGS — The Drew Webster American Legion Post #39 recently hosted a dinner followed by a service honoring the fallen sailors and the four chaplains that died when the U.S.A.T. DORCHESTER sank off the coast of Greenland after being torpedoed by a German Submarine on Feb. 3, 1943. Post 39 Commander John Hood welcomed all who attended, and the presentation of colors was by 8th District Assistant Sergeant at Arms, Norman Price and Bill Spaun, Post #39. The Saga of the Four Chaplains was presented by Wayne Thomas, Post 39. 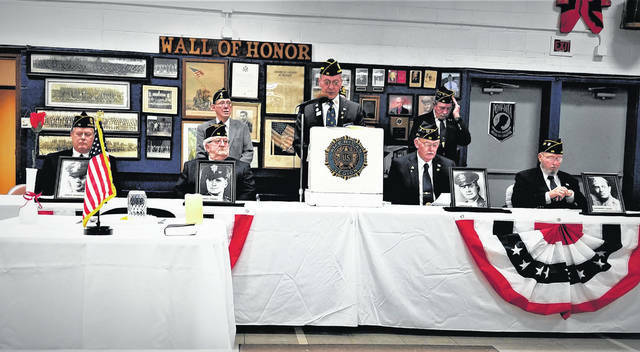 Alexander D. Goode was presented by Dan Arnold, Post 39; George L. Fox was presented by Sam VanMatre, Post 39; Clark V. Poling was presented by Wally Hatfield, Post 39; and John P. Washington was presented by Steve VanMeter, Post 39, followed by a short video of the sinking of the USAT Dorchester. 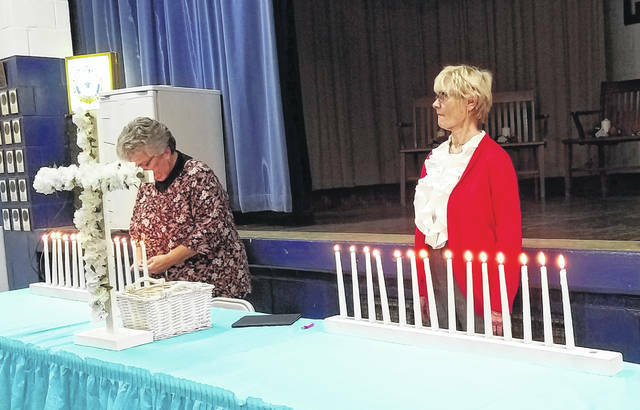 Auxiliary President JoAnne Newsome gave the Roll Call of Post while Lilly Kloes and Kathy Thomas did the lighting of the candles, and Betty VanMatre placed the flowers on the cross. Information and photos provided by Kathryn Johnson, Ladies Auxiliary.